I did it. I got back into it. 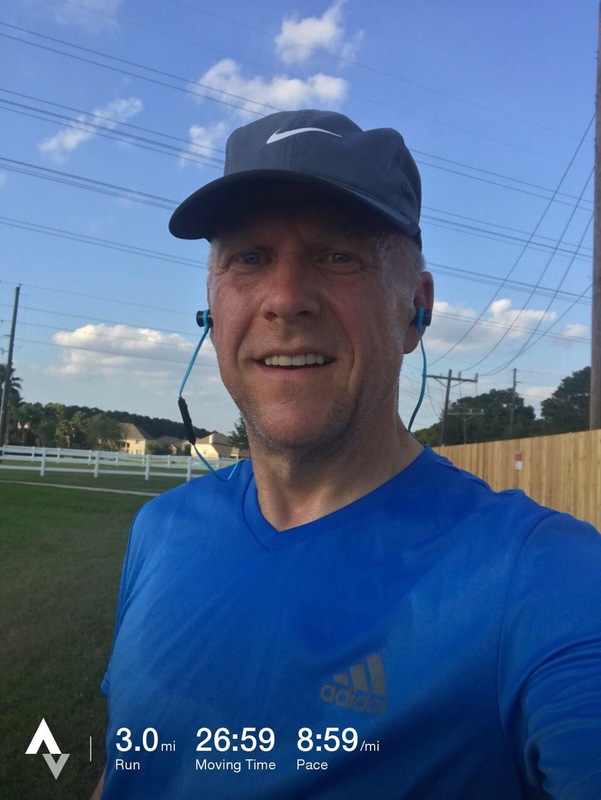 Starting with 90 push ups, I hit the ground on this hot (93 degrees) evening and set out for a comfortable run. My first mile pace was a little slower than normal while miles 2 and 3 were definitely slower, but comfortable. I was happy with the sub-9 minute/mile average, however. The best part: I felt great through the run. Even though it was really hot out and the sun was burning me, I felt good. Breathing was easy, and muscles never cried out in protest. All in all, a good run. I’ll take tomorrow off from running and likely run again on Sunday if I can make time. I have a full day planned, so I’m not sure exactly how I can fit it in, but I will try. If all else fails, I will be getting back on my M-W-F schedule next week. Next Next post: Let’s add knee pain to the mix.